Attorneys Debra Katz, Lisa Banks, and Michael Bromwich have announced that they have reached an agreement with the Senate Judiciary Committee regarding their client's willingness to testify about an alleged sexual assault committed by Supreme Court nominee Brett Kavanaugh. "Despite actual threats to her safety and her life, Dr. Ford believes it is important for Senators to hear directly from her about the sexual assault committed against her,” Professor Christine Blasey Ford's attorneys said following a phone call this morning. The testimony will be a public hearing at 10:00 AM ET on Thursday. 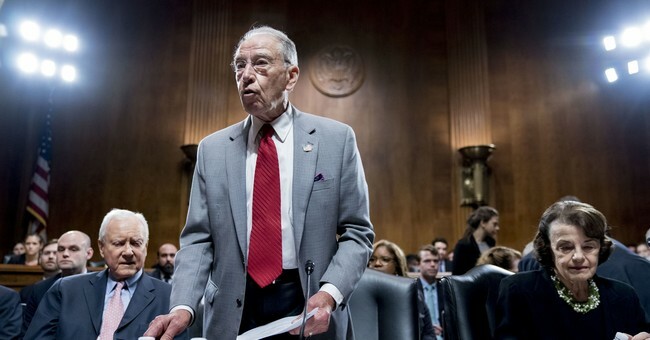 It will not include other witnesses nor has it been decided whether staff attorneys or senators will ask the questions. According to the initial report, Professor Ford will go first followed by Bett Kavanaugh. According to CNN's Manu Raj, Ford's attorneys are still pushing for Mark Judge, whom she claims was in the room where the alleged assault occurred, subpoenaed. There will also be security and lawyers present at the table with her.